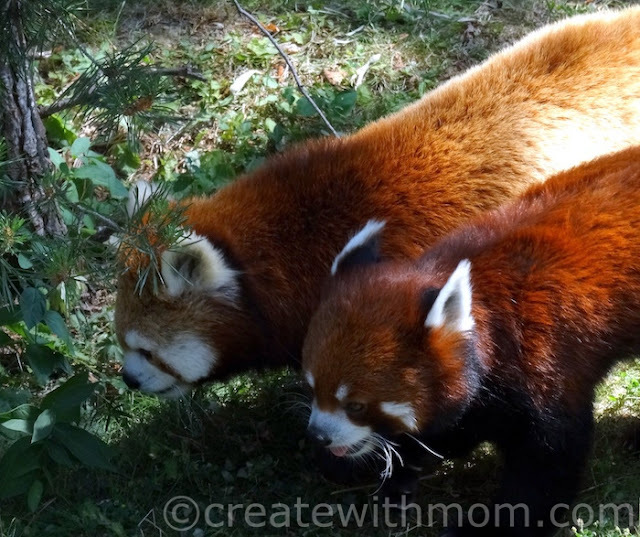 We saw the baby pandas that were born at the Toronto Zoo on October 13, 2015. 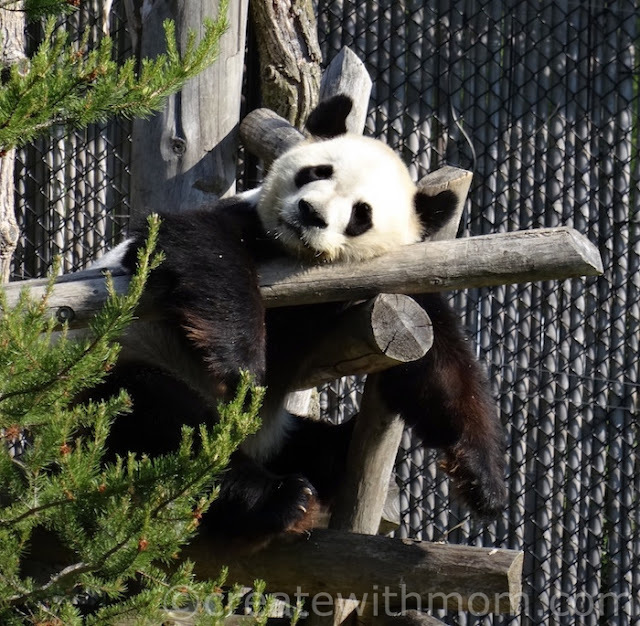 Jia Panpan (which means Canadian Hope) is the male panda, who is the larger twin and more laid back than his sister Jia Yueyue (Canadian Joy). He is also the most favoured by his mother Er Shun (means double smoothness) who was born at Chongqing Zoo in China on August 10, 2007. Da Mao the father of the pandas was born at the Chengdu Research Base of Giant Panda Breeding in China on September 1, 2008. He is similar to other giant pandas in the wild, and is enjoying the solitary bachelor life within the zoo. We also learned about the smaller red pandas that reminded me of raccoons! These cute characters were more active than the giant pandas, and were interesting to learn about. I was able to touch the beautiful and compassionate Indian Rhino, Ashakiran and her baby Nandu. 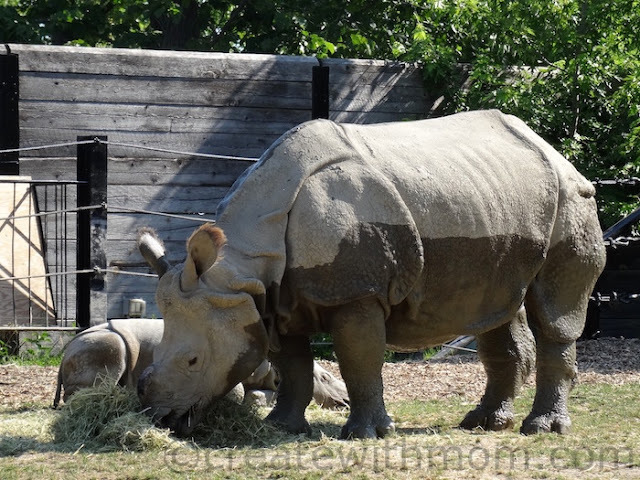 We met with the keeper and learned more about rhinos, the conservation and breeding program at the zoo, see behind the scenes where they live in the winter, and feed carrots to the mom. I respect Rhino's more after my visit, and found them to be similar to us on how they care and protect their young. I also went behind the scenes and learned about the endangered Sumatran Tiger. 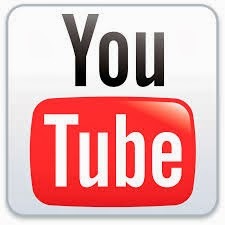 There was also a special meet and greets with animals such as sloth, bald eagle, and a camel before everyone settled to the special screening of Kung Fu Panda 3. We can now watch Kung Fu Panda 3 in the comfort of our home on Blu-ray™ and DVD. I am more appreciative of what the zoo is doing behind the scenes about conservation and rescuing and protecting the endangered animals in the wild. There are doing a variety of research, and are creating awareness about issues such as poaching, deforestation, and other human influences, which are threatening the lives of these creatures. 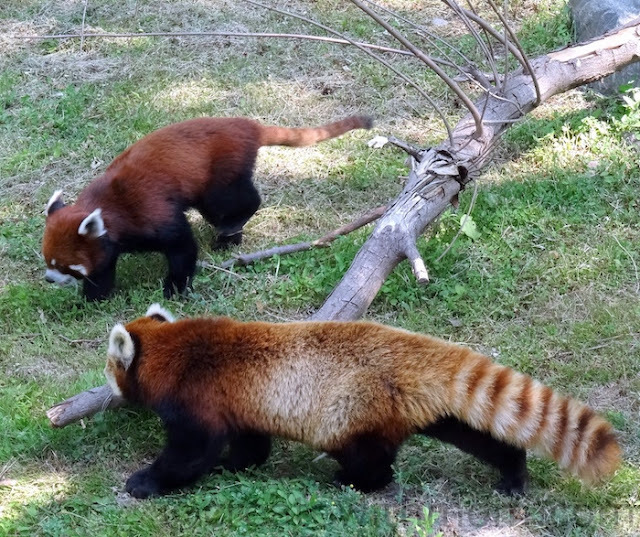 I think the red pandas are so cute.